Sometimes the Internet community comes together for good. 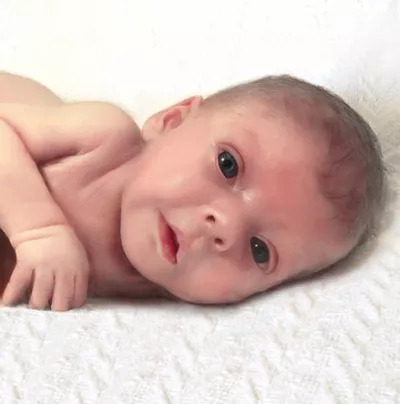 Case in point: A father mourning the death of his 6-week-old daughter turned to Reddit for help remembering baby Sophia, and the results were overwhelming. Seriously, have some tissues at the ready. Nathen Steffel took to the Reddit forum r/pics for some photo help. The Ohio father's Photoshop request was simple: "My daughter recently passed away after a long battle in the children's hospital. Since she was in the hospital her whole life we never were able to get a photo without all her tubes. Can someone remove the tubes from this photo?" Steffel wrote on Reddit that Sophia had a liver tumor called a hepatic hemangioma and she was on the waiting list for a new liver when she passed away on July 10. Steffel wrote that he was overwhelmed by the response he received. He told Buzzfeed he stayed up till 3 am. that night trying to respond to people who had also lost an infant. Steffel also told Buzzfeed: "I just wanted to reach out to get at least one quality picture. I was amazed how many people responded." “It helped knowing that others cared enough to stop whatever they were doing in their own lives to either send me a picture or just their condolences."